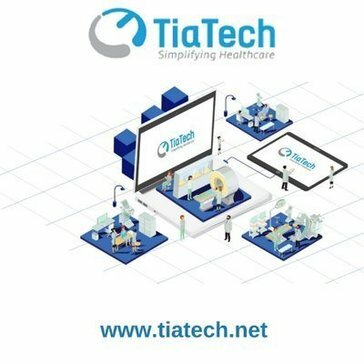 TiaMD NuMR's integrated virtual clinic is a hospital workflow management solution that incorporates TiaMD Rapid Responz, TiaCoder, TiaCare, and modular enterprise resource planning (ERP) services to provide a holistic, scalable health management system (HMS) for care providers of all sizes. Epic develops software to help people get well, help people stay well, and help future generations be healthier. Allscripts is a leader in healthcare information technology solutions that advance clinical, financial and operational results. Allscripts innovative solutions connect people, places and data across an Open, Connected Community of Health. Greenway Health provides healthcare technology solutions such as electronic health record and revenue cycle management software that improve clinical and financial results. These state-of-the-art technologies help providers stay ahead of changing government regulation and provide sophisticated, seamless patient care. Headquartered in Tampa, Fla., the company traces its roots back to 1977 – the early days of health information technology. Greenway has grown into an industry leader in information technology-enabled solutions that improve clinical and financial results. Professional EHR's intuitive design mimics practice workflow, while its simple navigation mirrors a physician's thinking process. * We monitor all TiaMD NuMR reviews to prevent fraudulent reviews and keep review quality high. We do not post reviews by company employees or direct competitors. Validated reviews require the user to submit a screenshot of the product containing their user ID, in order to verify a user is an actual user of the product. Hi there! Are you looking to implement a solution like TiaMD NuMR?